St. Rita's is blessed with many talented musicians who "make a joyful noise" to enhance our weekly liturgies and special events. We invite you to come sing with us! We have a number of different music groups here at St. Rita's, and one of them is bound to be a perfect fit for your talents. Choir: Open to everyone, from grade 9 to adults. .
Children's Choir: Open to children in grades 2-7. Resound: Open to youth in grades 7-12. St. Rita's Group: Open to everyone, from grade 9 to adults. Flexible rehearsal schedule. Echo: Small Group, open to adults. Audition is required. Joyful Praise: Small group, open to adults. Audition is required. Solo instrumentalist: All instruments are welcome. Audition is required. Audio volunteer: Work with running the sound system for Mass. No experience necessary; training is provided. Music office volunteer: Assist with weekly office tasks, work on special music projects. 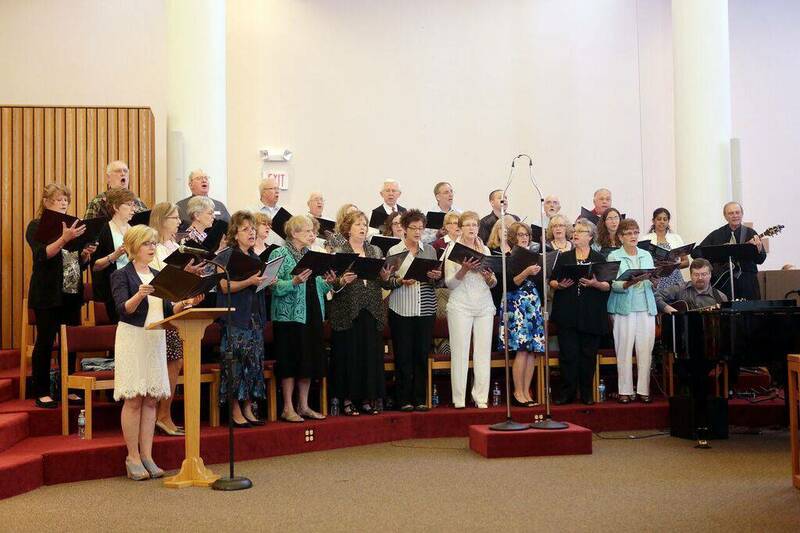 If you're considering serving God and your fellow parishioners by participating in our music ministry or would like to set up an audition, please contact music director Adam Baus at abaus@saintritas.org or call 651-459-4596 ext 120.